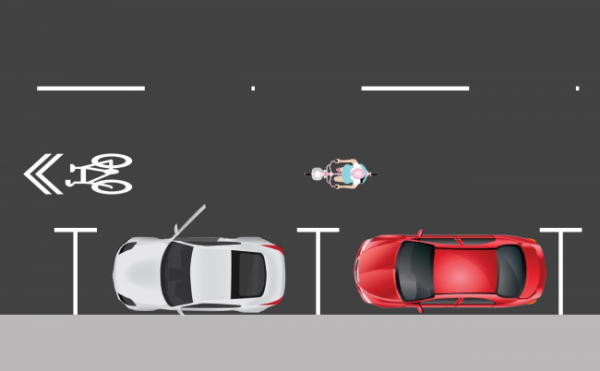 Home › Advice › What is a sharrow? A sharrow is a double-chevron road marking indicating a shared cycle/vehicle lane. It warns motorists that this is an important cycle route, and it encourages cyclists to use more of the lane where there is potential danger (e.g. from parked cars), but there is not enough room for a dedicated cycle lane. 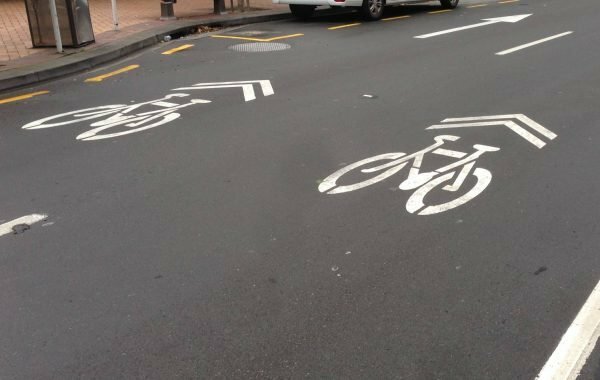 Sharrows tend to reduce the number of bikes riding on footpaths, increase the distance cyclists ride from parked vehicles by between 8-10cm, and increase the distance motorists give to cyclists when overtaking by about 60cm. Cyclists tend to ride closer to the sharrow marking, and it can give them warnings and help them position themselves on the road where there might be stormwater grates, kerb build outs and so on. It reinforces to motorists that cyclists have a right to use the road, too. Sharrow markings will be used on significant cycle routes, but will depend on the configuration of the lanes, parking and shared paths. 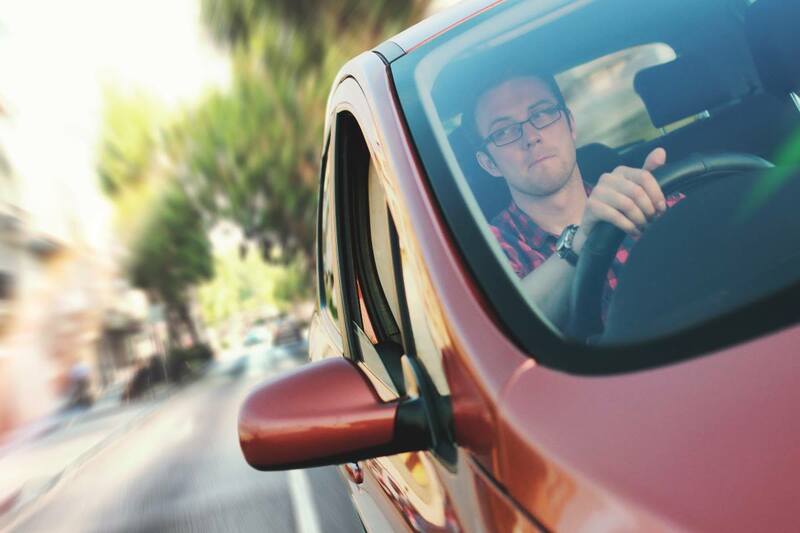 They are more likely to be implemented when there are low numbers of vehicles, low vehicle speeds and the configuration of the road is appropriate. When road speeds are generally less than 30km/h, cyclists can keep up with the flow of traffic and sharrow lanes can be used. Sharrow markings are not intended to be used in isolation or where there’s an existing cycle lane. They won’t be used on roads with a speed limit more than 50km/h. They are positioned slightly left of centre of the usable portion of the lane to encourage cyclists to keep left. They are positioned with the centre of the arrows 1.4m from the kerb if there’s no on-street parking, or 1.4m from the edge of parking bays if there is on-street parking.